You’re too busy to take a call but it’s the boss, a client, or some other person you don’t want feeling ignored. 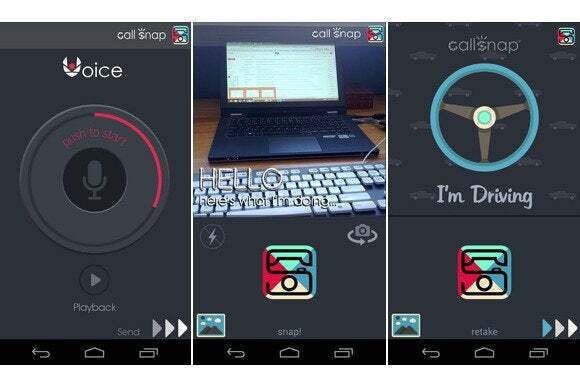 CallSnap is an Android app that lets you decline the call and text them an audio file, photo of what you’re doing, or a cartoon image to let a caller know you’re not blowing them off. While newer versions of Android and iOS let users send callers to voicemail or respond with text messages such as “Can’t talk right now” or “I’ll call you later,” CallSnap takes it a step further to communicate the reason you can’t take a call. The audio recording feature, which the developer just added to an updated version of CallSnap, is particularly novel. 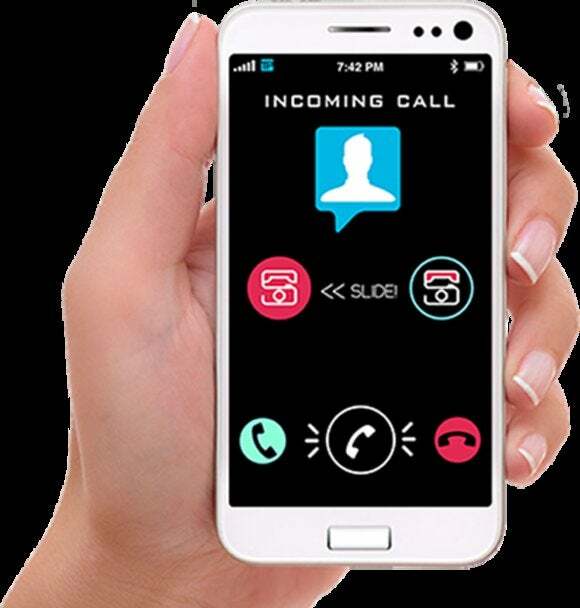 To use it you slide the CallSnap icon on your incoming call screen to the right to decline the phone call and send the person to voicemail. CallSnap then lets you record a message for your caller and tap to embed the file in a text message. Why would you want to send an audio file? While a person could certainly employ voice-to-text to send a custom response to a phone call, the native feature can be aggravating when the phone gets the message wrong. You could tap a custom text message response, but doing so can be a pain when you’re busy. In contrast, sending an audio recording is simple, fast, and gives you the opportunity to explain why you can’t take a call versus giving some canned excuse. CallSnap uses audio, photos, and illustrations to explain to callers why you can't take their call. To reply with a photo showing why you can’t answer, slide the CallSnap icon on your incoming call screen to the left, which sends the caller to voicemail and activates your phone’s camera. Snap a photo and tap the photo window to choose one of several messages to overlay on it, such as “I’m busy. Here’s what I’m doing…” or “Can’t talk. Here’s what I’m doing…” The caller receives a text message that reads “Busy right now…CallSnap photo on the way!” Shortly thereafter he or she receives the photo via text message. Even though CallSnap sends callers to voicemail, Michael Unetich, president of TIP Solutions, the company behind CallSnap, says he thinks voicemail has been dying for years. He sees the app as a more advanced way of declining a call while also solving the problem of people who insist on having a conversation if you pick up and try to tell them you’re in the middle of something. One caveat: If your caller is still using a land line obviously CallSnap won’t work.